Since its inception three quarters of a century ago by the company’s founder, Paul Barrow, Barrow Fabrics has been a long standing and respected resource of decorative home furnishings fabrics to interior designers, decorators, and upholsterers. They pride themselves on offering exclusive and inspiring designs in a vast array of the most fashionable and cutting edge colors. You will find their attractive, well thought out, and easy to use sample collections full of the products you desire. Whether you are looking to recover that favorite family heirloom in your home or have a larger project, such as updating the lobby of an upscale resort, Barrow Fabrics is your go to fabric resource. 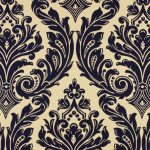 Call 877-FAB-2-YOU for your best buy price on any current Barrow fabrics.- Or fill out the price quote form for an email quote on any fabric in the entire Barrow line up. 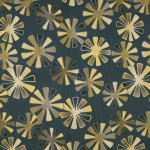 Barrow fabrics for the home or company are discounted for purchase here online. The #1 Fabric dealer outlet shop offers all of Barrow fabrics at or near wholesale discount prices. Fabric samples available upon request. 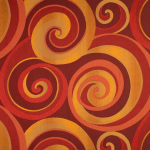 Are you looking for a specific pattern from Barrow Fabrics? All Barrow Fabrics are available for purchase through #1 Fabric Co.
a quote for the lowest price available on the internet!